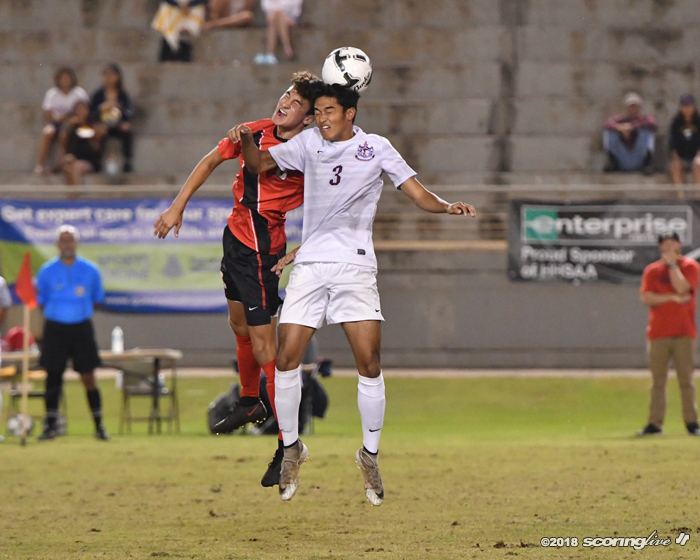 WAIPAHU — The honor of being the first Division I boys soccer state champion from a neighbor island will be a shared one. 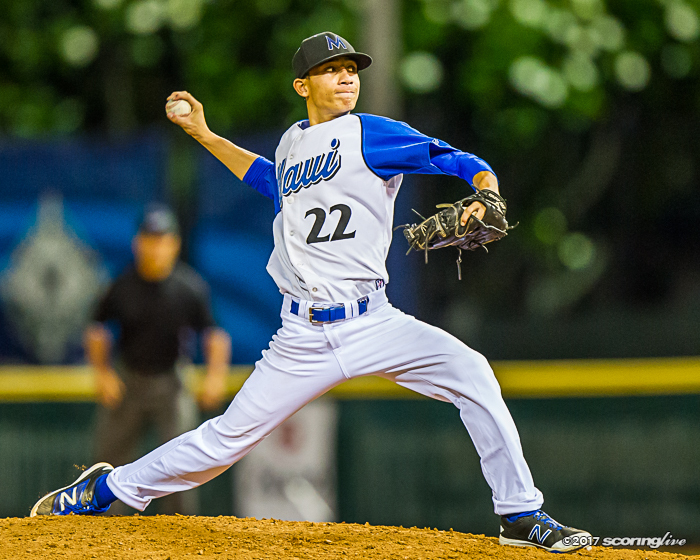 Sixth-ranked Hawaii Prep and No. 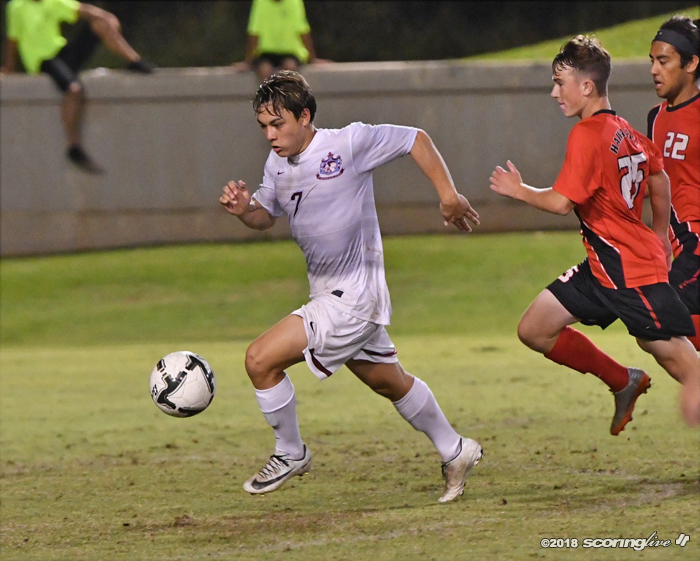 10 Baldwin played to a scoreless tie through regulation and seven minutes of overtime in the title game of The Queen's Medical Center/HHSAA Division I Boys Soccer State Championships before Mother Nature stepped in Saturday night. 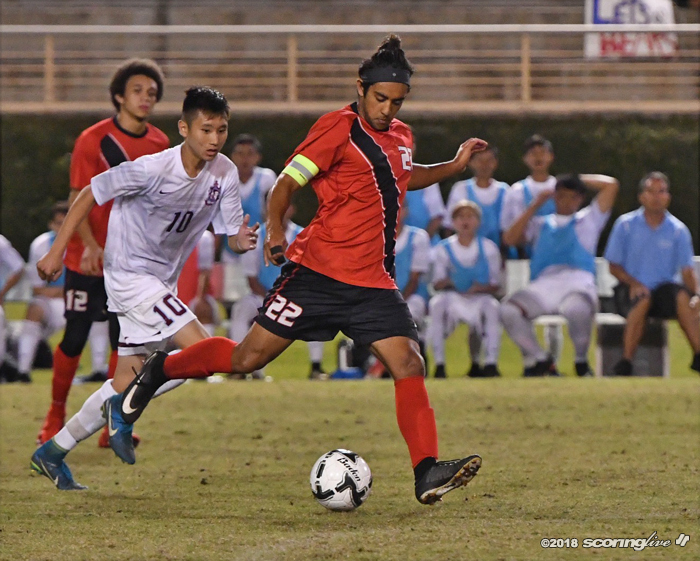 Lightning strikes in the vicinity of Waipio Peninsula Soccer Complex — while the teams were engaged in a defensive struggle on the pitch — halted, and ultimately terminated, the historic matchup between third-seeded Ka Makani (14-0-1) and the fourth-seeded Bears (10-1-2). At 9:23 p.m., the game was stopped after lightning was spotted in the area. 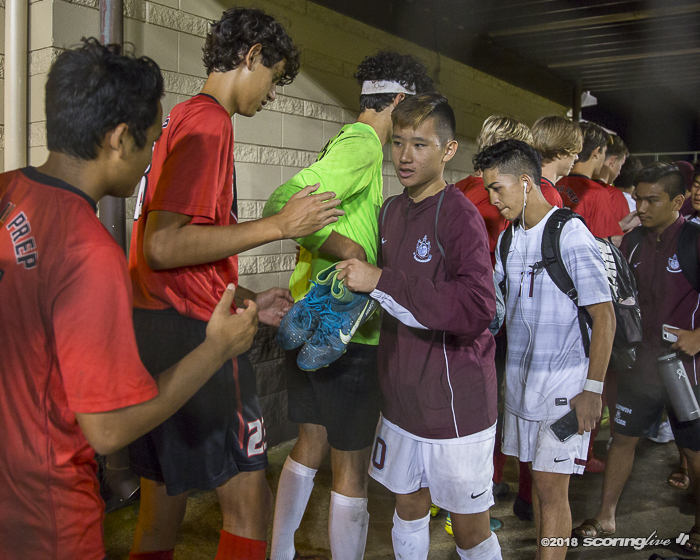 The teams and officials returned to their respective locker rooms, while fans were advised to seek immediate shelter. 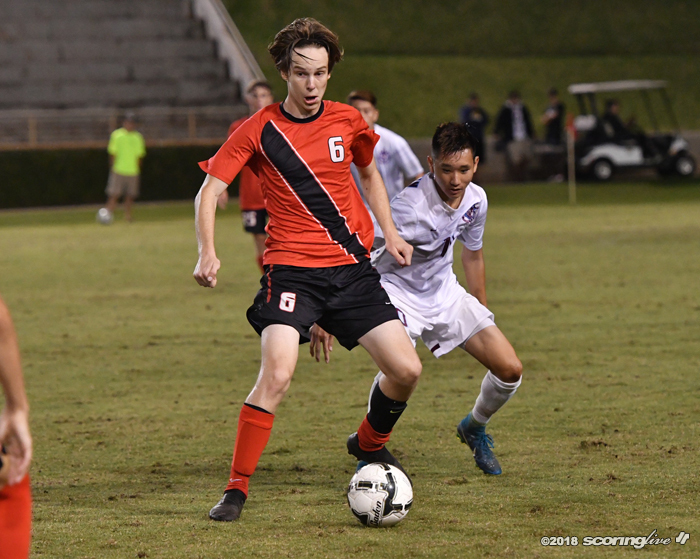 About 20 minutes later, it was announced that the game would be postponed until further notice and shortly after 10 p.m., it was determined that the teams mutually agreed upon sharing the state championship. 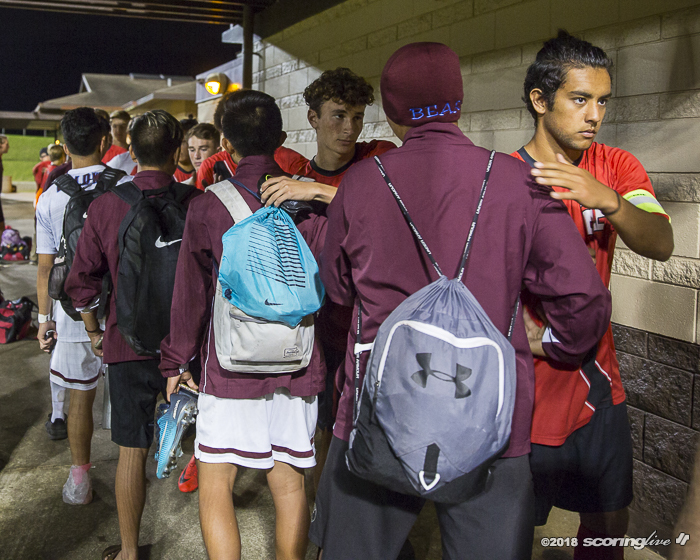 According to HHSAA boys soccer coordinator Greg Van Cantfort, the procedure followed was in accordance with National Federation of High Schools guidelines. "As soon as there's a strike witnessed, then the clock starts for a 30-minute delay and with each subsequent strike, the clock starts all over again," Van Cantfort said. 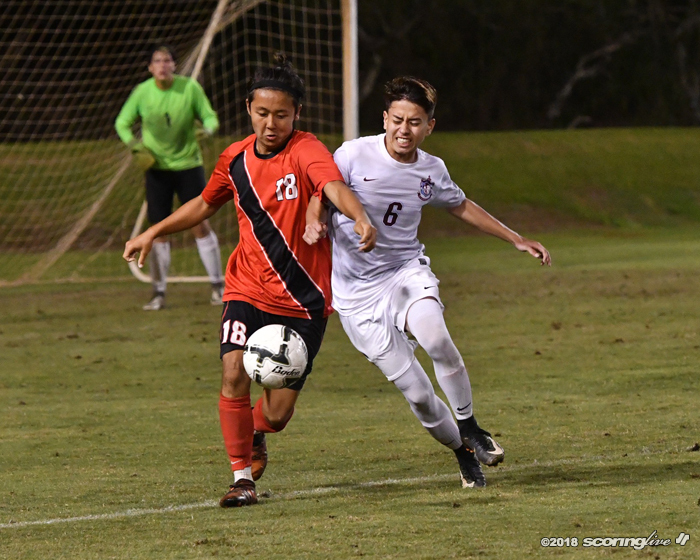 "I have a lightning app on my phone, (HHSAA Executive Director) Chris (Chun) has a weather app on his phone, so we were tracking the lightning and the frequency and ultimately that's what made the call." 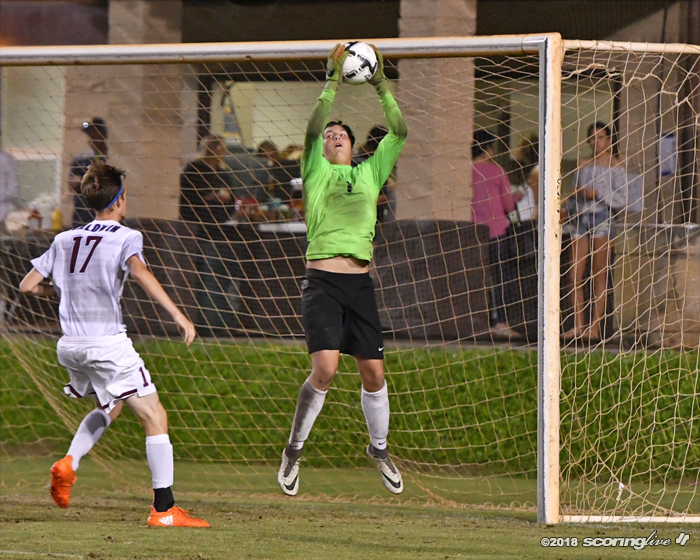 Van Cantfort explained what went into the collective decision to end the game in a tie. 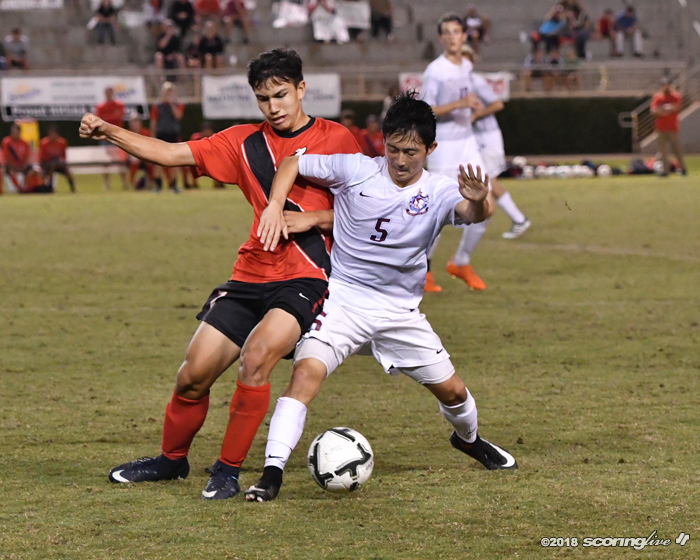 "We laid out some options and choices to the coaches and I think what was most impressive was that the coaches opted to take those choices back to the players, so they went and met with their players and got feedback from their players," Van Cantfort said. 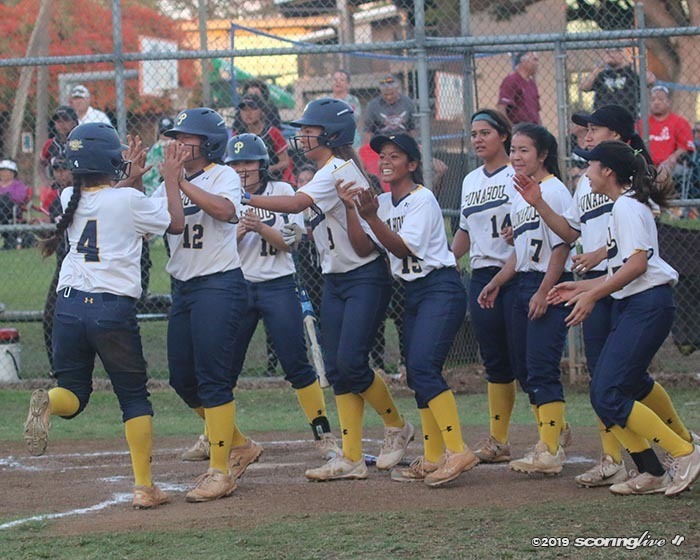 "The choices were one, that we could finish it at Waipahu tomorrow (Sunday) — but there was no guarantee what the weather's going to be tomorrow — and the other option was co-champs. 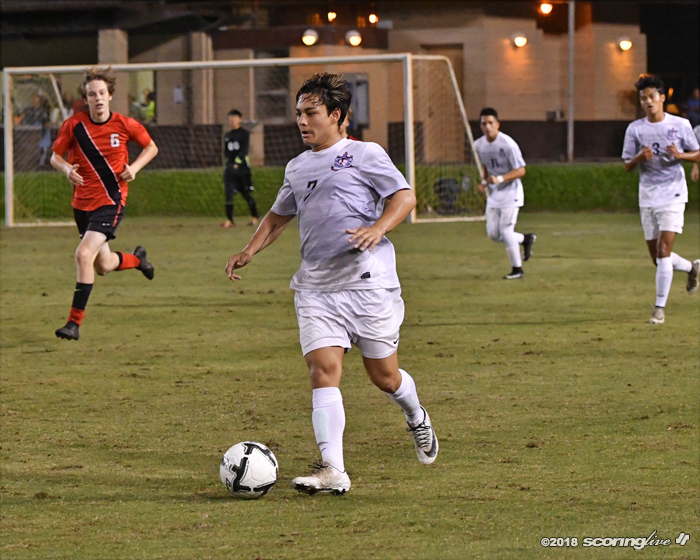 So after a lot of dialoguing with their players, ultimately they came back with co-champs, which is absolutely amazing for the neighbor islands, because these are the first neighbor-island champions ever for soccer, and what a better way than to honor two." 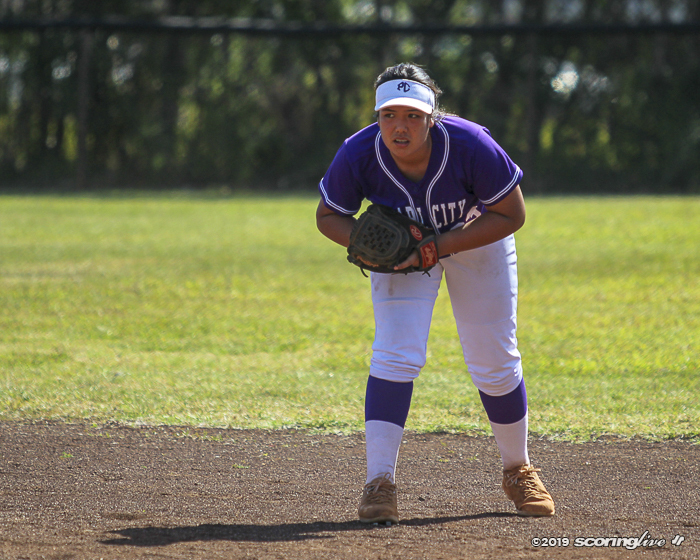 In the 44-year history of the state tournament, no neighbor island school had won the Division I crown before Saturday. 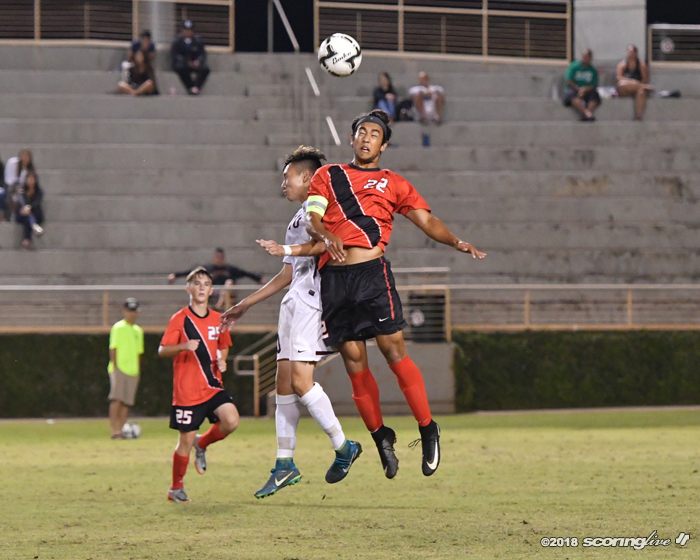 It was the first time the D1 final pitted two non-Oahu teams. "I guess that's good, co-state champions. 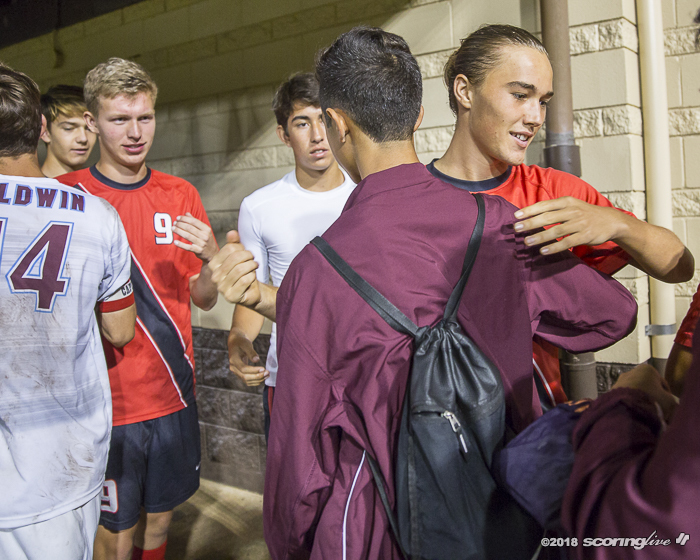 We're still happy with that," Baldwin senior forward Angelo Deloso-Flocco said. "We just thought we could get it. I know it didn't come out how we wanted, but that's just what God wanted tonight and we're OK with that. 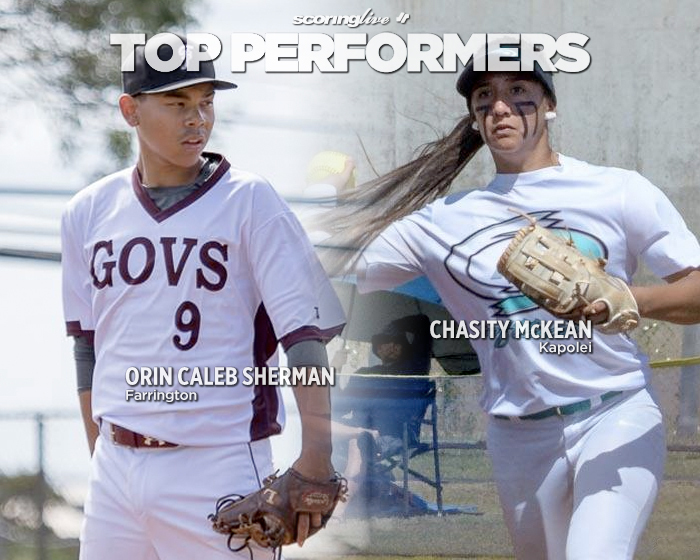 To be the first outer island team is definitely an accomplishment, just maybe not what we wanted: To be the only one." 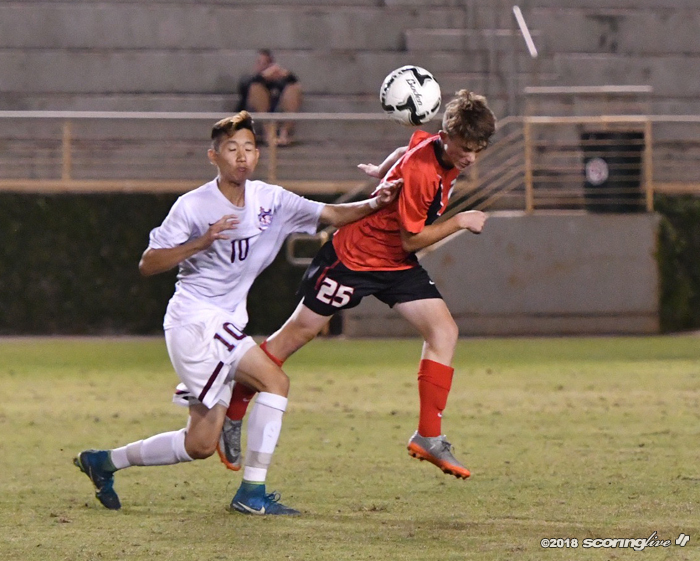 For the Maui Interscholastic League-champion Bears, who were making just their second appearance in a state final and first since 1993, it was certainly a bittersweet moment. "It's, I guess, a little weird in a way, but it's something that we've been waiting a long time for and, I guess — I don't know, I'm kind of in between still — it was a really tough decision and, I mean, looking at my boys' faces and I feel like I've let them down with the decision and that's the hardest part, but it's just the whole money situation and for both teams it would be really tough, so that's it," Baldwin coach Kaniela Palazzotto said. "I've got to be happy, but again, it's bittersweet also because you want to be a winner and you want a clear-cut winner." Both coaches have agreed to call the game in a draw. 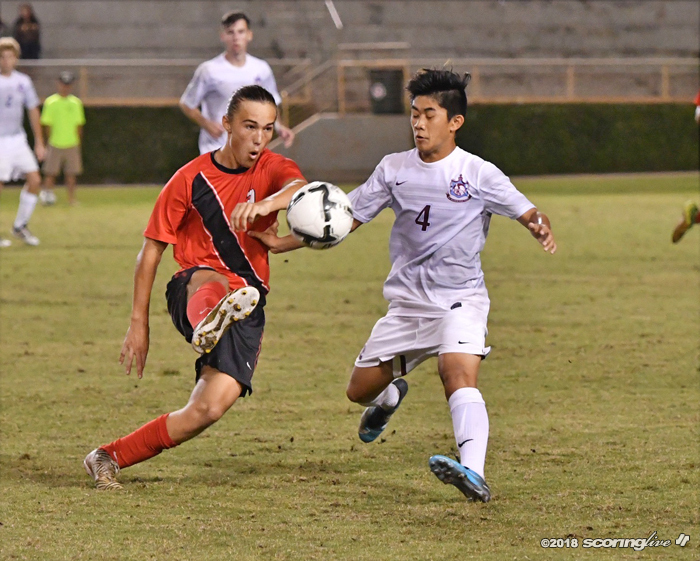 Hawaii Prep and Baldwin will be the @HHSAAsports Division I boys soccer co-champions. 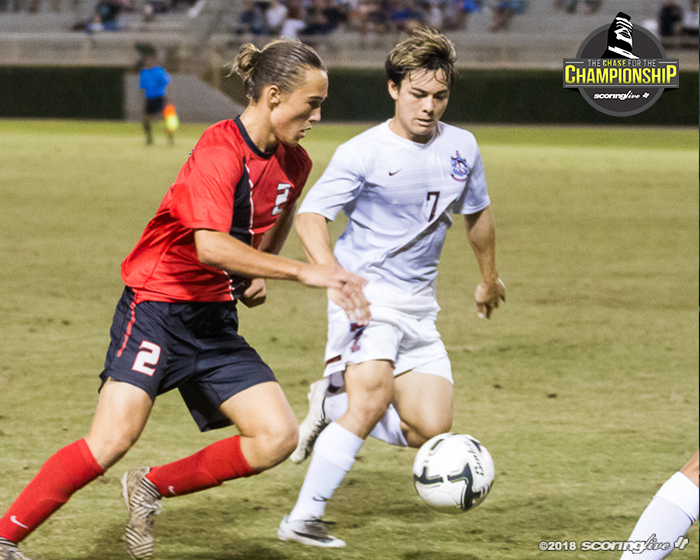 Both teams share the honor of being the first-ever neighbor island (non-Oahu) D1 champion in the sport. 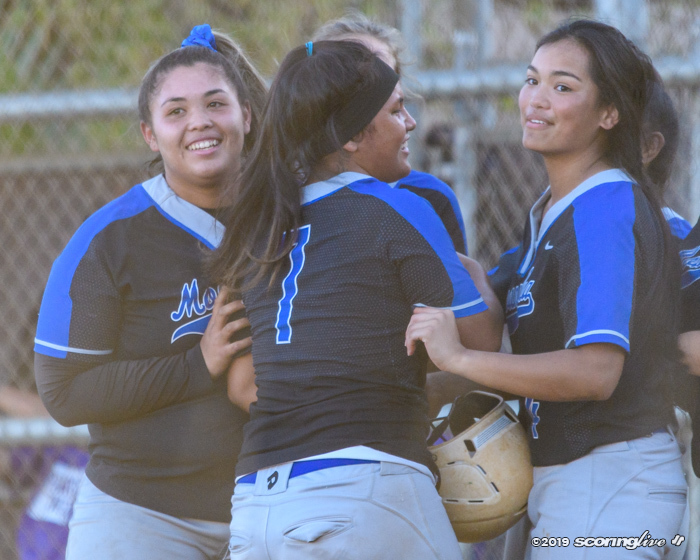 Meanwhile, it was the third state title in as many seasons for Ka Makani, who moved up to D1 this year after winning back-to-back D2 championships. 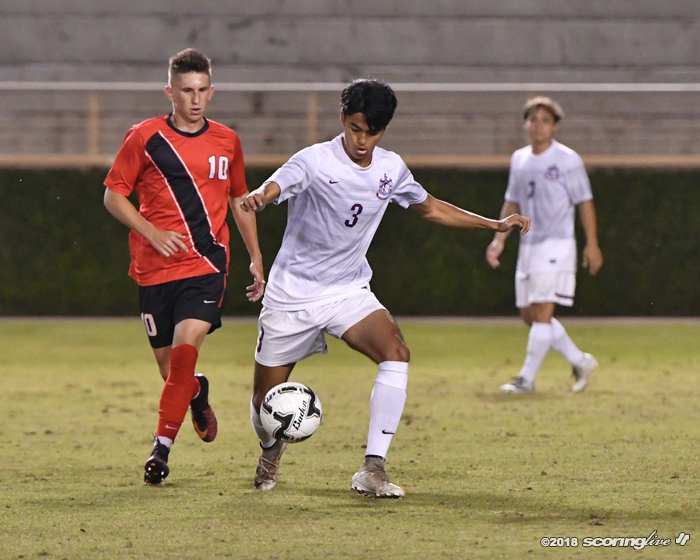 "Having two non-Oahu teams make it to the championship, that means a lot and (for) our first time in D1, it's just mind boggling that we can just bring it to the D1 teams and play at their level," HPA junior fullback Sikhea Jim said. "I definitely feel like some people might feel not so happy about this, but I think it's the choice that we made as a group and however it goes, it goes. The Baldwin team was really respectful and we're really tight now; That's all I can really ask for." 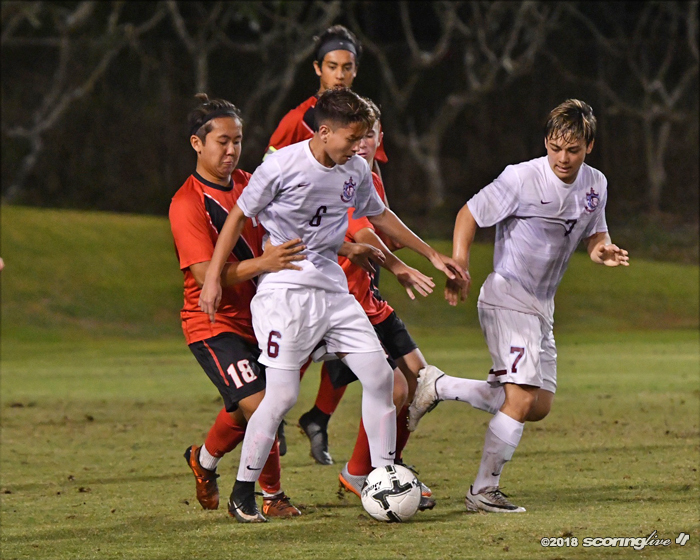 HPA, the Big Island Interscholastic Federation champion, also made history as the first school to win state titles in two different divisions. 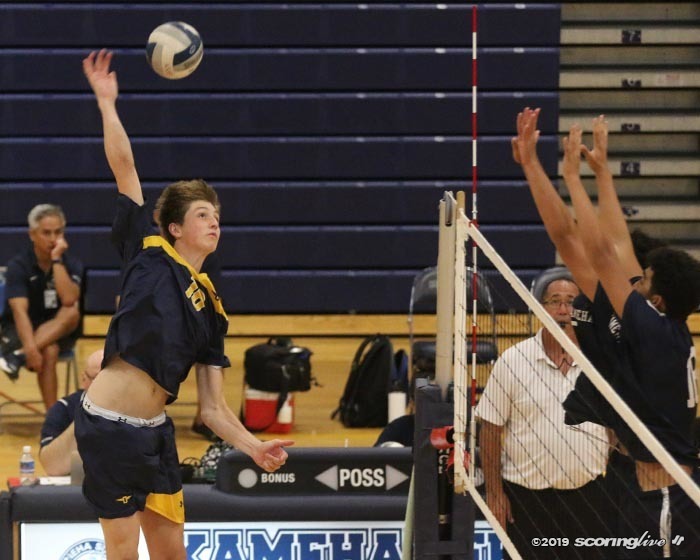 "All we can do is take positive things (and) make sure we're joyful with feeling like champions," Ka Makani coach Rich Braithwaite said. 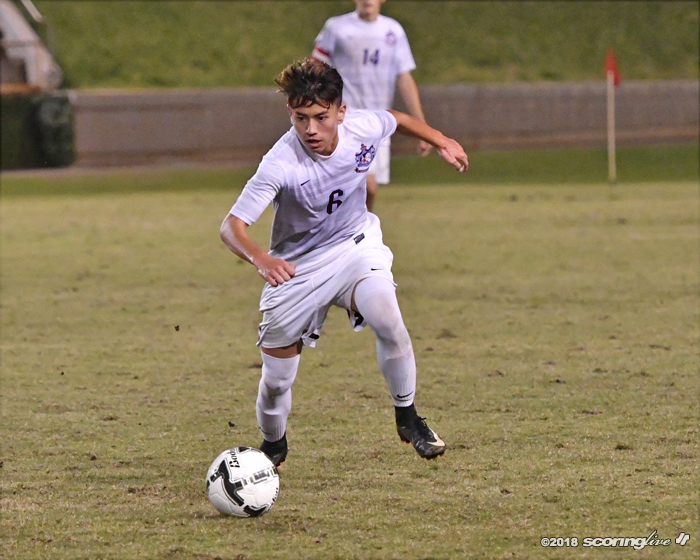 "Our boys worked incredibly hard, played a great game and the decision we came to was to be co-champions and so we're going to feel really good about what we accomplished." 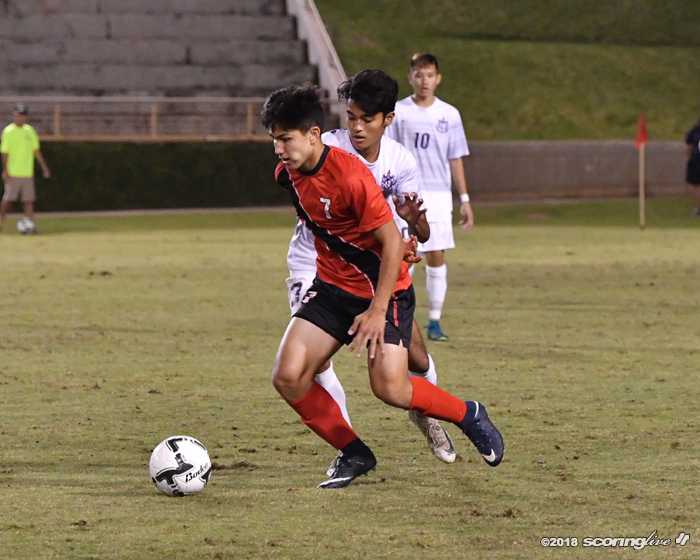 Braithwaite said the possibility of completing the game at 7 a.m. Sunday was discussed, but weather reports showed more lightning in the Waipahu area for that time. The team is scheduled to depart Honolulu for the Big Island at 10 a.m. Sunday. "Otherwise, both teams would have to fly home and try to coordinate on Monday or a week from now and I think some of these teams couldn't afford hotels, so it's just not an option. 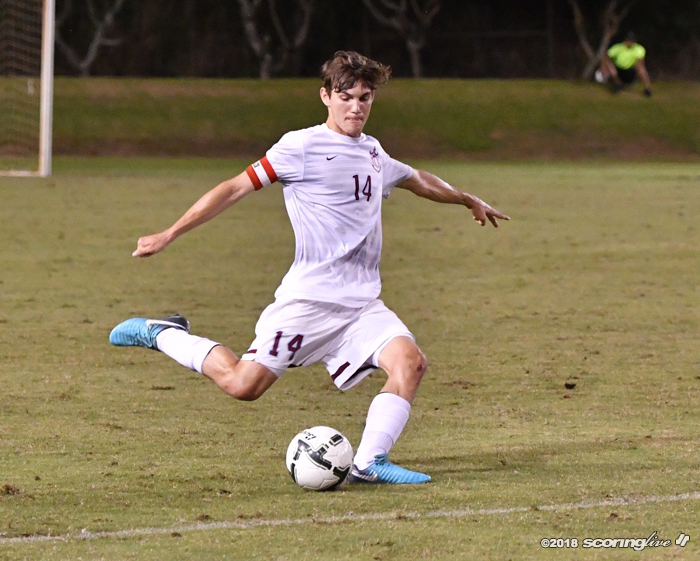 There weren't really a whole lot of other options," Braithwaite said. The game itself didn't see a lot of scoring opportunities for either team as both defenses shined. 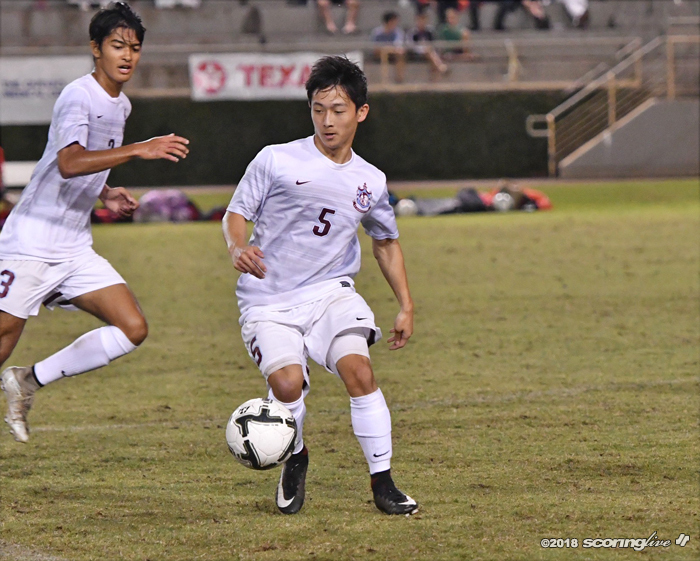 "Tactically, I think both teams were really, really smart about the way they approached the game. 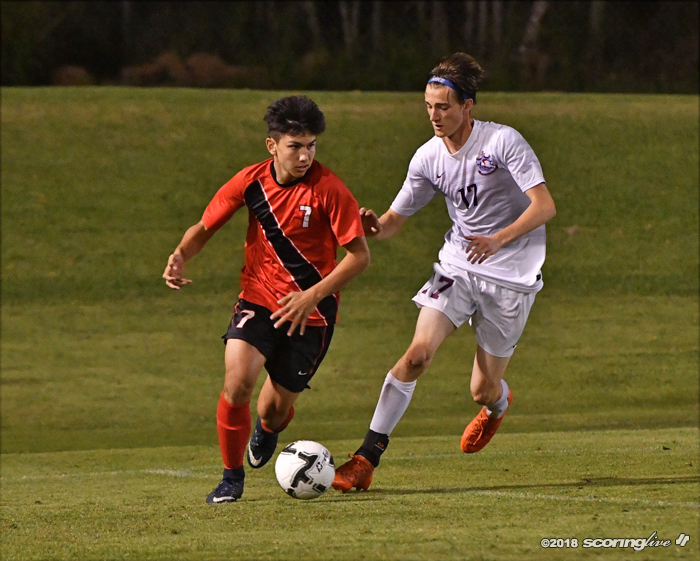 Neither teams were throwing a thousand players forward, so there weren't that many chances, but it was a very smart tactical battle the entire time," Braithwaite said. 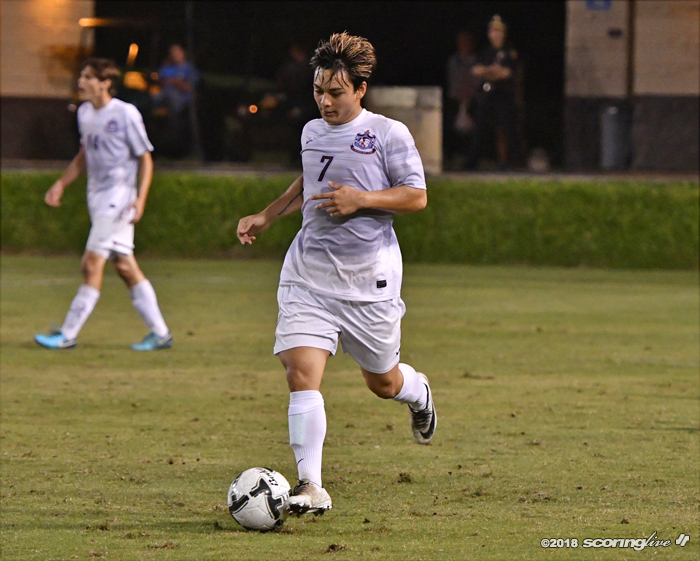 Jim, a First Team All-Hawaii selection last year, made numerous key plays from his center-back position while anchoring the HPA back line. 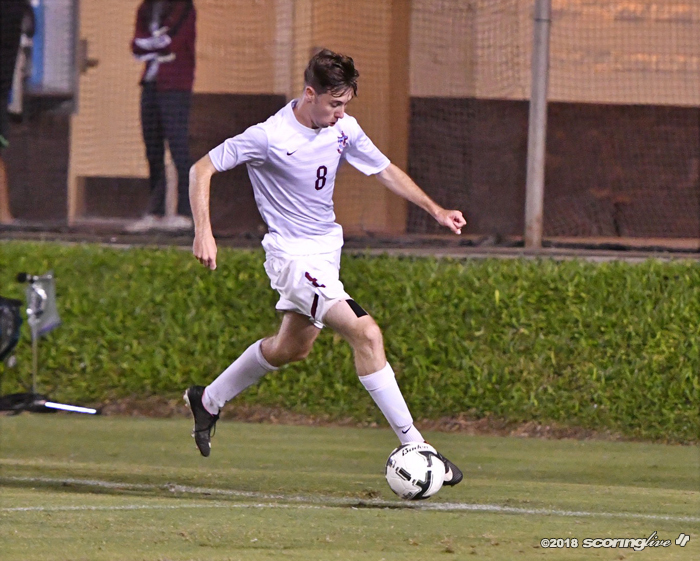 "I feel like it wasn't really a game of offense and defense; it was a game of who can connect them both — their offense and their defense — and in the end it just evened out. 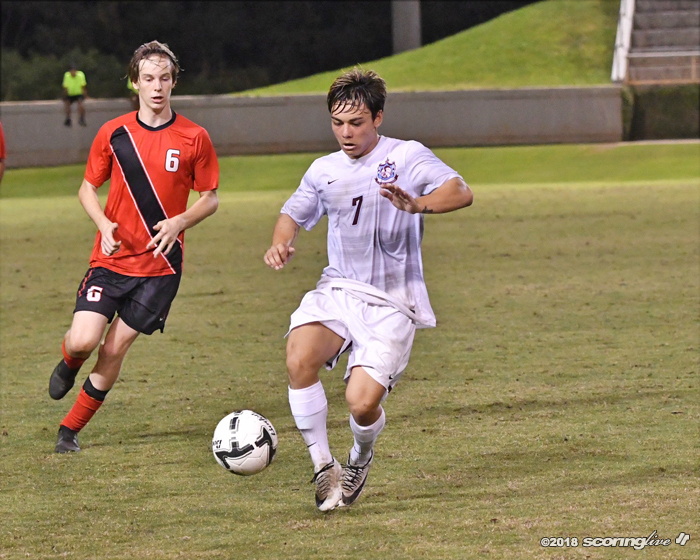 Neither team could score and neither team did score, so it's just what it is," Jim said. 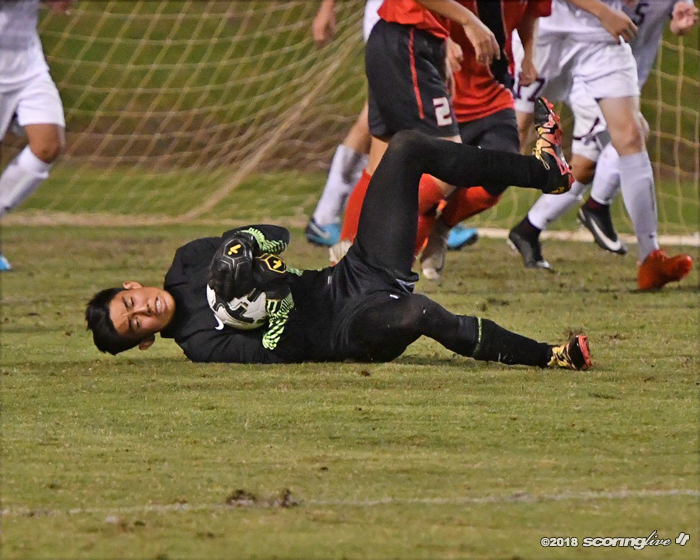 Baldwin junior goalkeeper Elliott Tom made saves on all seven of HPA's shots on goal. 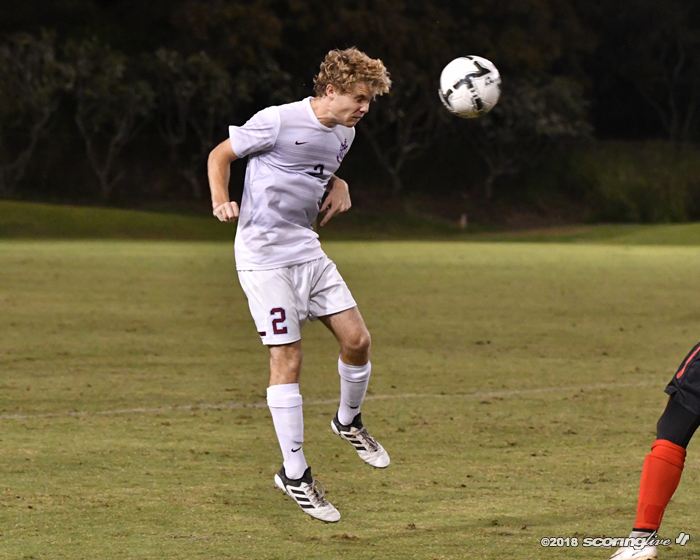 About nine minutes into the contest, Tom denied HPA's Jake Schneider's direct free kick from about 23 yards out, which was then deflected and cleared away by sophomore fullback Bryan Cummings. 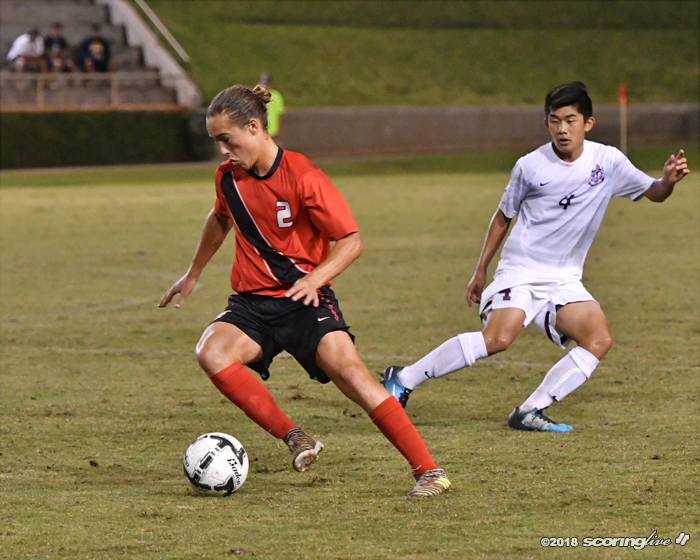 In the second half, Baldwin had a few more scoring chances on counterattacks through Deloso-Flocco, their First Team All-Hawaii forward, after he moved from left winger to center forward. 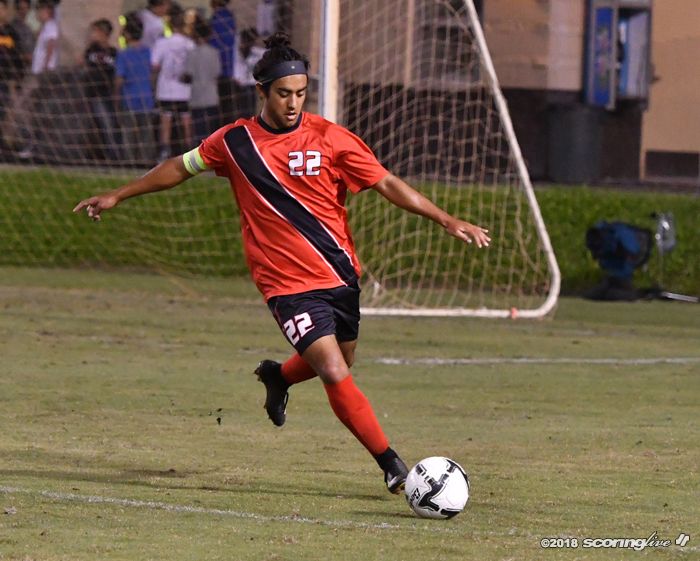 Deloso-Flocco penetrated deep into the HPA defense in the 68th minute but was unable to get a shot off. 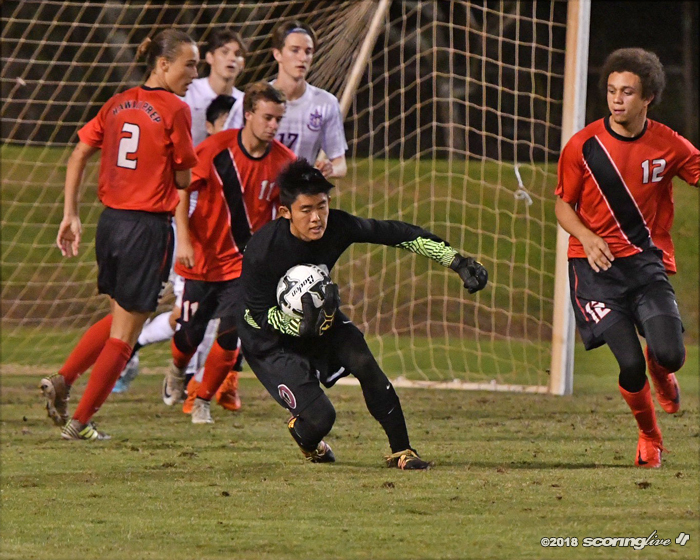 However, the Bears drew a foul shortly thereafter which gave them a free kick from just a few yards outside the 18-yard box, but Daniel Souza's attempt was saved by Ka Makani goalkeeper Stormer Horton, who finished with three saves. Both teams were playing their third game in as many days. 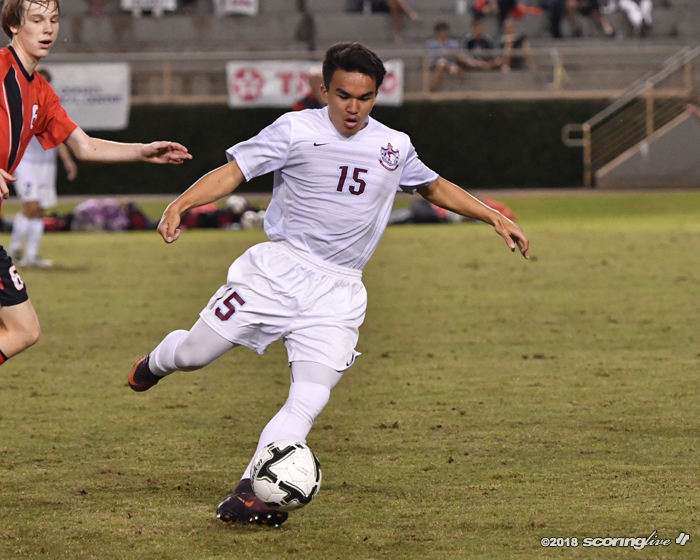 "I think a couple of the players were hurting," Deloso-Flocco said. "We had some tough matches before, (so) we weren't in the best shape playing our game that we could have, but we still had some chances that we should have put away, I think."